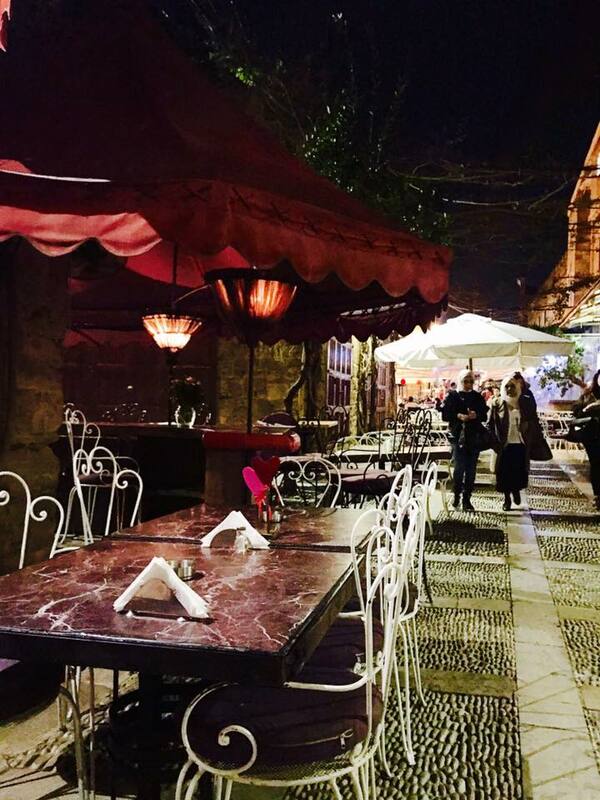 Life is too short to keep trying the same restaurants over and over again. 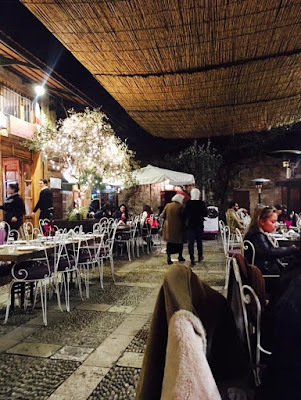 Jbeil is the first city that comes to our minds during the weekend and we recently visited éCafé Edde Yard in Byblos Old Souks. 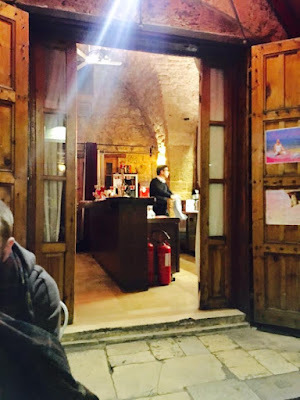 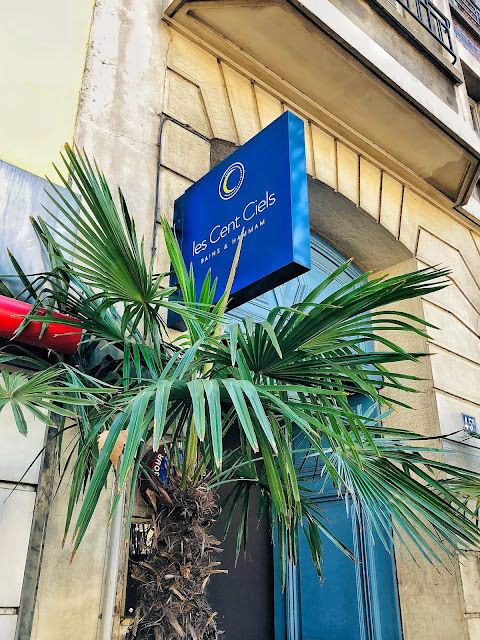 The restaurant is from the chain of the Edde family and the place is kind of a café trottoire where you can enjoy a romantic evening at night with dim lights while people pass through. 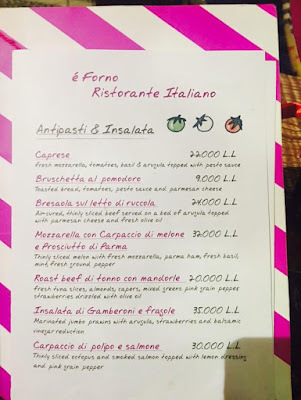 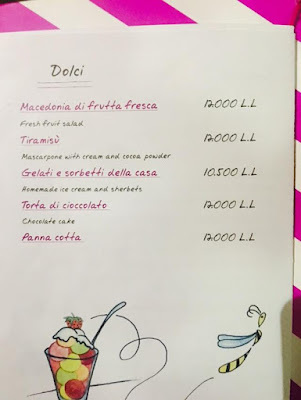 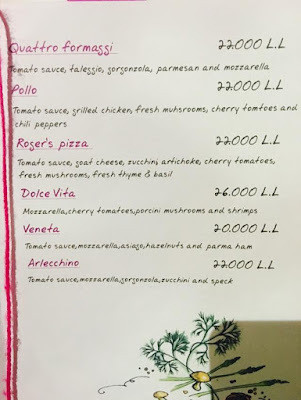 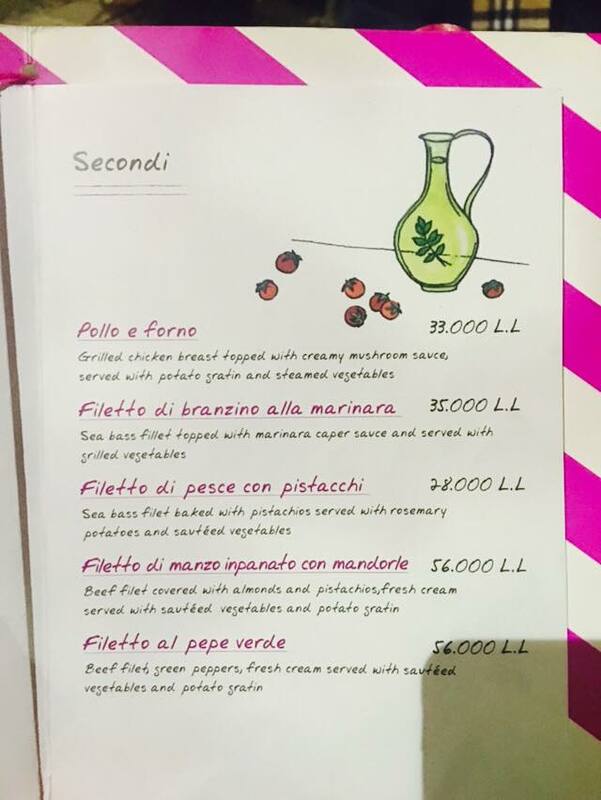 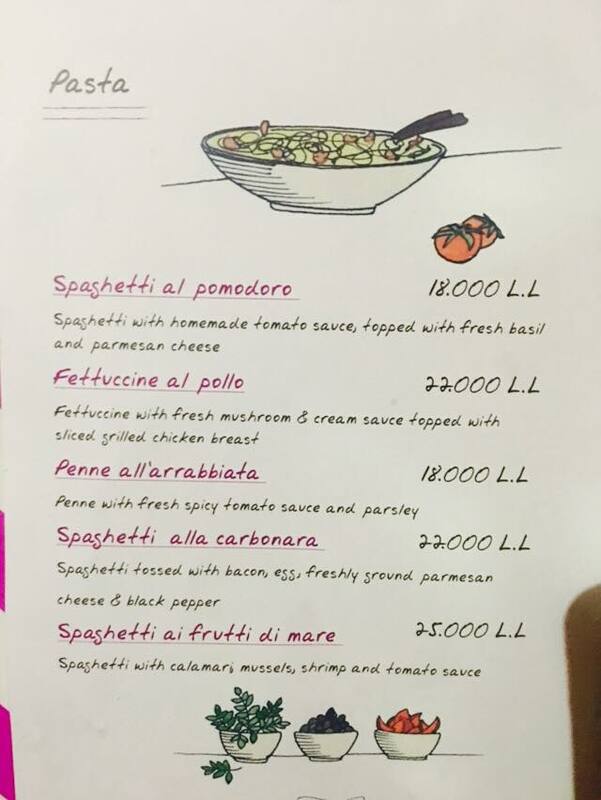 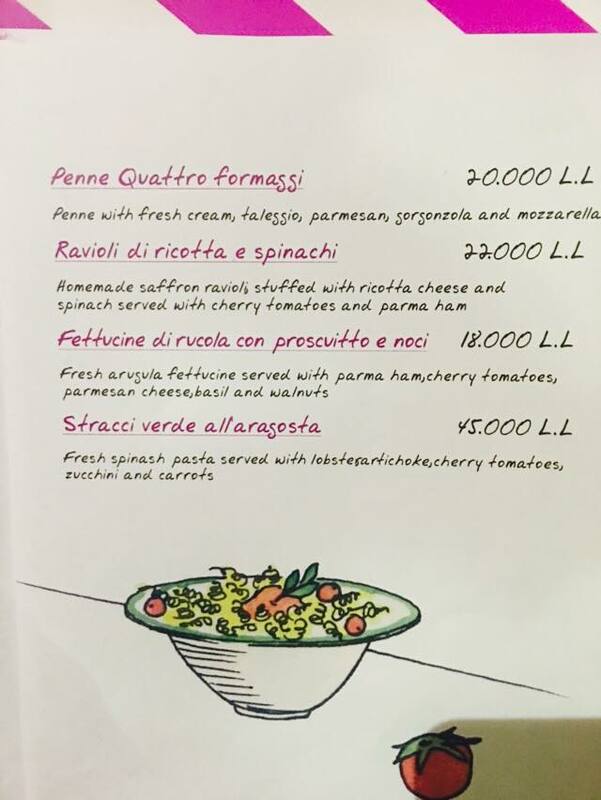 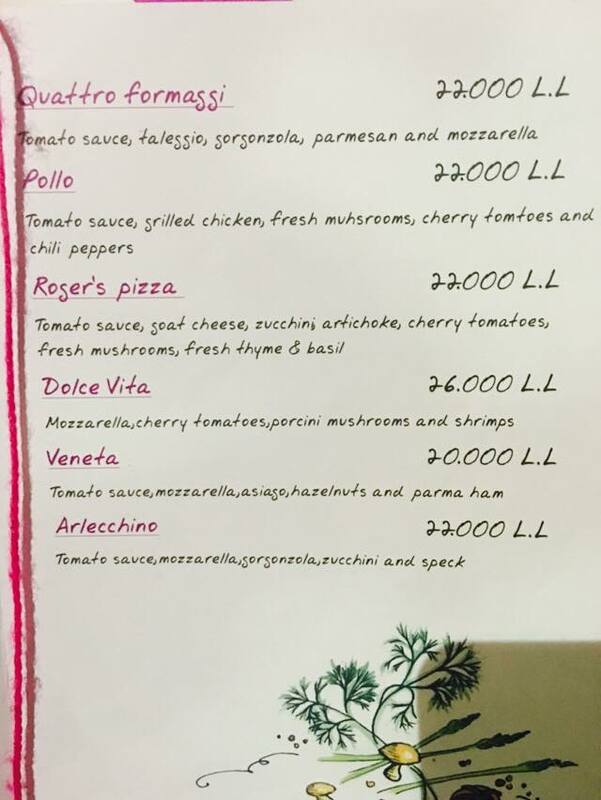 The menu is a combination of Italian food with international platters. 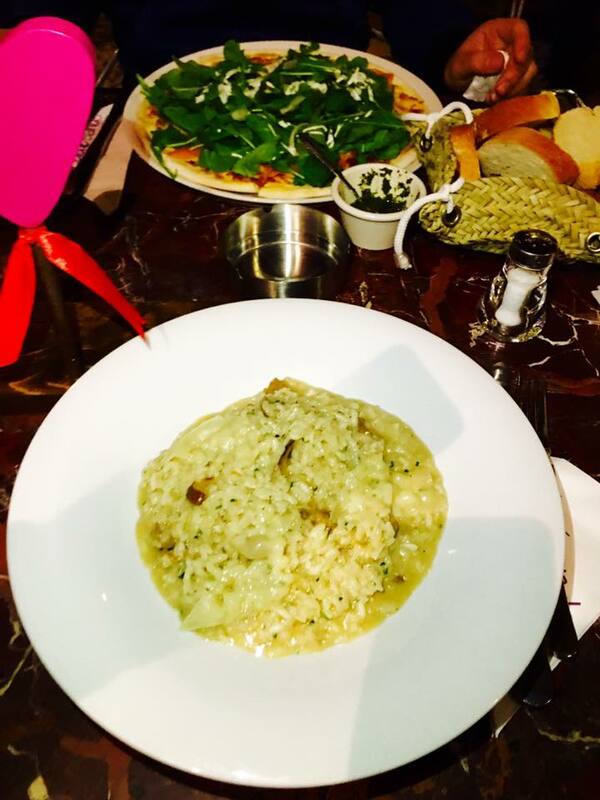 We ordered a Salmon Pizza and Risotto ai Porcini. 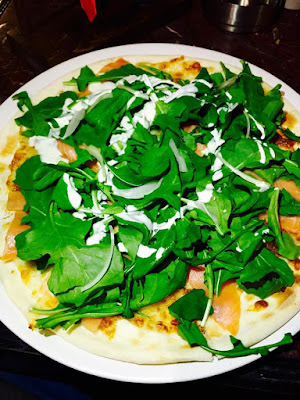 •The Salmon Pizza had a layer of cheese topped with salmon slices, rocket leaves, onions and sprinkled with a special sauce. It missed the capres that were mentioned in the menu. The dough was thin and perfectly baked. 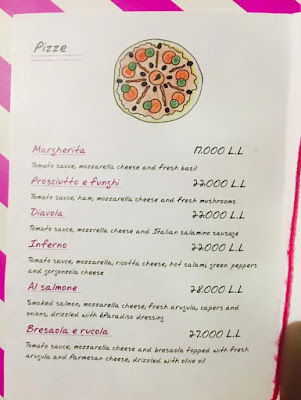 The ingredients were fresh and the salmon portion was generous. The combination was good but we would have preferred cream cheese over the mozzarella as it felt dry. •The Rissoto Porcine was perfect. 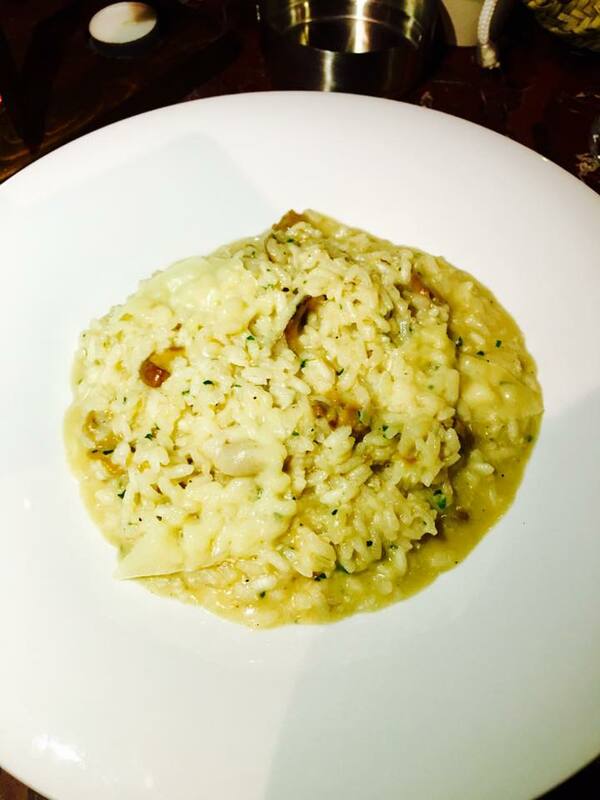 It consisted of Italian rice cooked in fresh cream with fresh mushrooms, parmesan and basil. 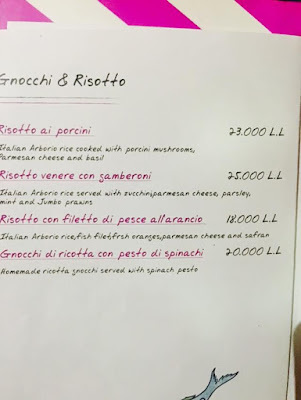 The cream sauce was very consistent and it had lots of mushrooms. Don't forget to ask for your extra dose of parmesean cheese. 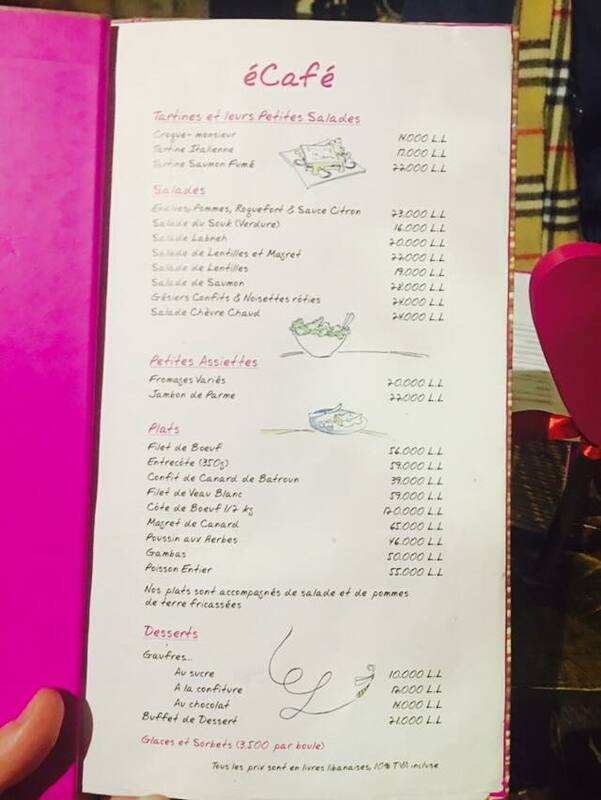 The service at éCafé was good but the waiters miss out on the knowledge in the menu. We loved the generosity and the good quality of the food. 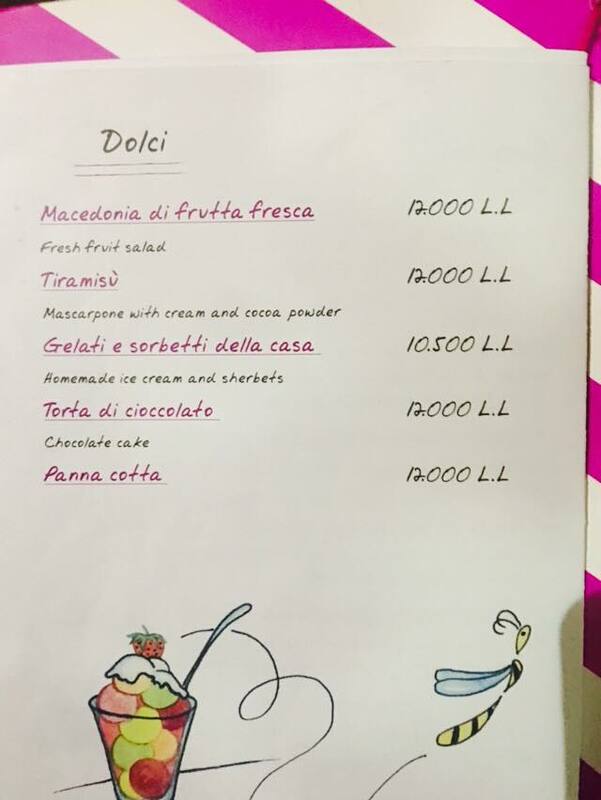 We missed out on the dessert section due to the limited choices. 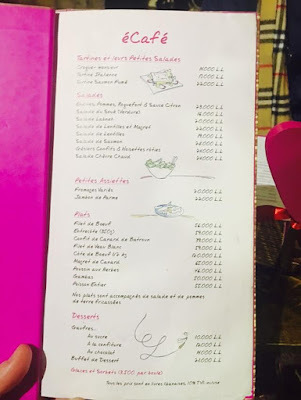 We wish if they could add pain perdu or fondant au chocolat. 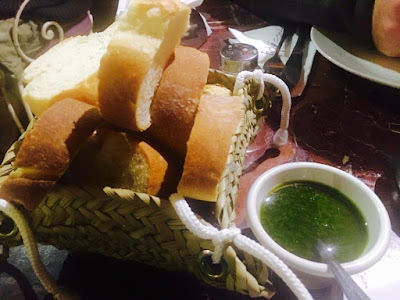 PS: after you are seated they serve bread with pesto sauce that is really delicious. Price range: 22$ per person.